Ariel Schrag concludes her turbulent ride through high school in the long-awaited final volume of her acclaimed series of compelling and strikingly honest autobiographical graphic novels. Set in Berkeley, California, Likewise takes us into the holy grail of teenagers, every bit as terrifying as it is liberating: senior year. Struggling with a major longing for her ex-girlfriend who has gone away to college, her parents' post-divorce relationship, anxiety over the future, and all the graphic details of her complicated life, Ariel sets out to document everything and everyone. And when she discovers James Joyce, a whole new world of creativity opens up to her. 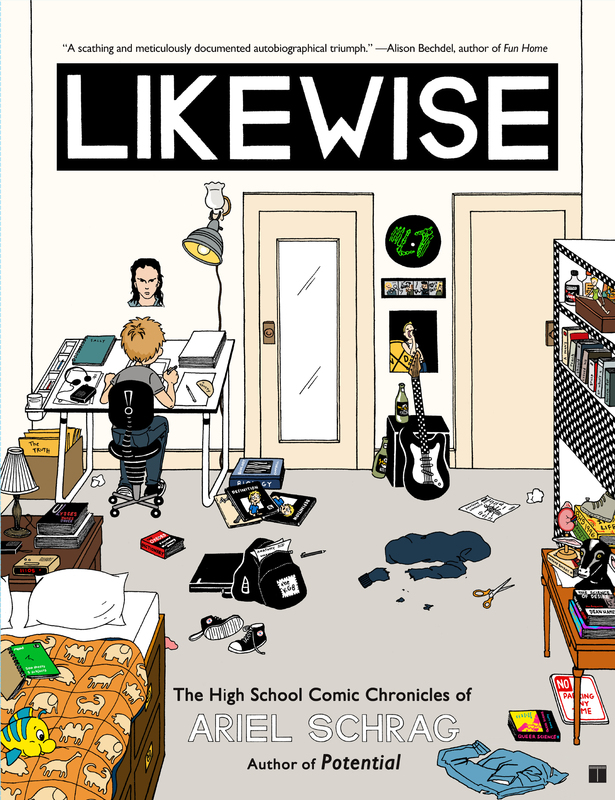 Written with unabashed honesty, insight, and humor, Likewise is a brave account of one teenage girl's search for truth.